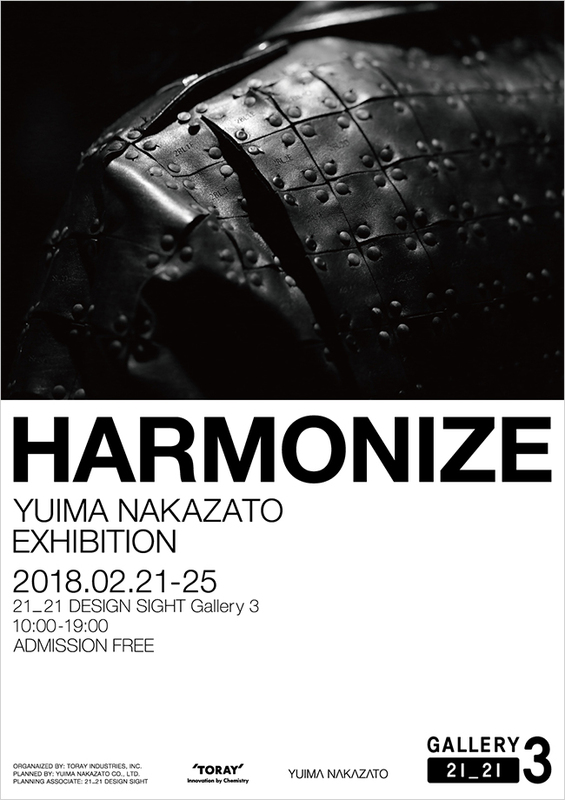 A talk of YUIMA NAKAZATO (Fashion Designer) was held at an opening event of Nakazato’s exhibition “HARMONIZE”. “In the future all clothes will become one-off” — this is the future of us that YUIMA NAKAZATO imagines. YUIMA NAKAZATO developed a method to make clothes not by sewing but by combining parts called “unit”. With this method, we can change design, size and materials of clothes freely and it is now possible to provide clothing that harmonizes with everyone. This exhibition introduces the latest collection that YUIMA NAKAZATO showed during Paris Haute Couture Fashion Weeks in January 2018, the production system, and new products using artificial leather “Ultrasuede®PX”. Please come and see the ultimate one-off clothe produced for those wearing it and the future fashion that YUIMA NAKAZATO hoping to distribute to the people all over the world. The information of the exhibition is here.